I’m here to help you with your website design, so you can go do what you do best. You need a professional website to match your new business. 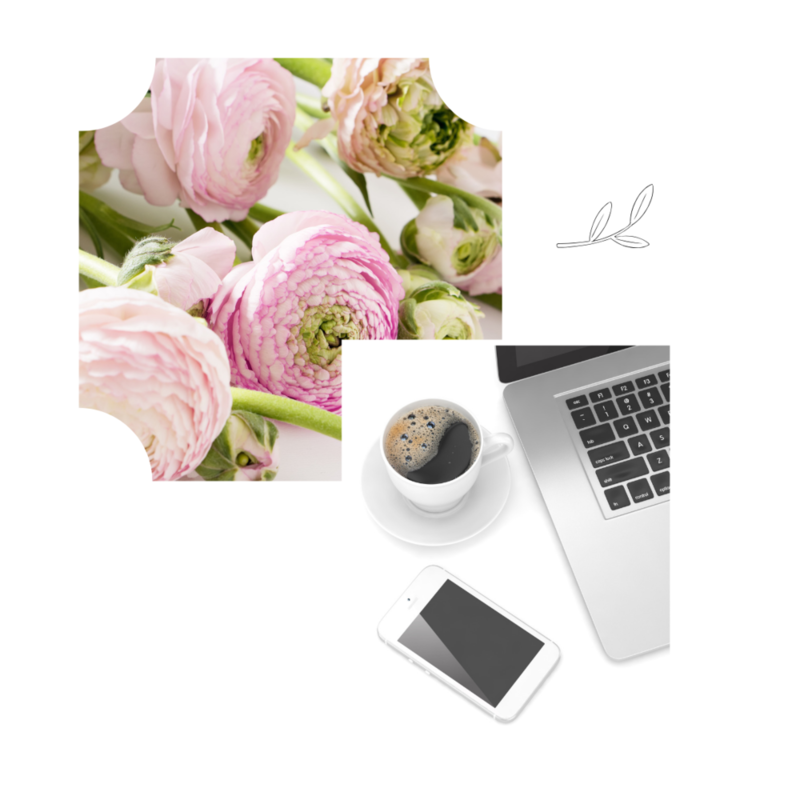 If you’re feeling overwhelmed by a DIY website, I’m here to help you! You are overwhelmed by a DIY website. You need to have a website fast. You’re not quite sure how to capture your brand. Your website looks polished and professional. Your website will be completed in two weeks. You have a firm hold on your brand and so will your clients. READY. SET. PICK YOUR PACKAGE. Five pages - home, services, about, contact & one of your choice. Up to three items for your on-line store. Connect to IG, FB, & Twitter. Design completed in three weeks. Up to seven pages - home, services, about, contact, services and two of your choice. Website training session - one hour. Up to ten items for your on-line store. Connect to IG, FB and Twitter and add brand images. Set-up, customize and integrate Acuity scheduling. In-depth questionnaire about you & your business. - identifying persona, vibe, website colors, website fonts. 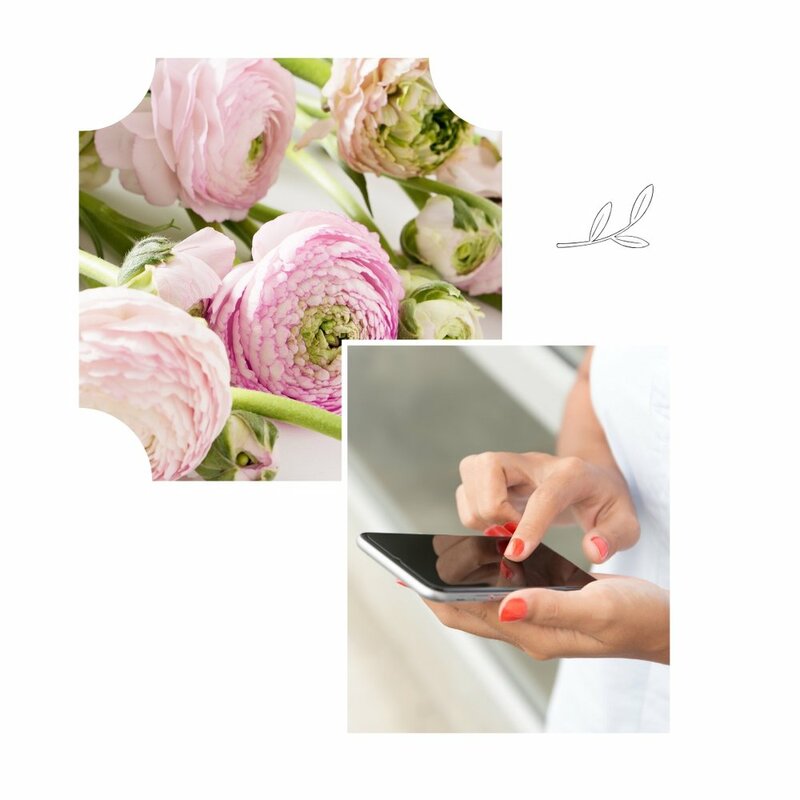 I will send you an inspiration board + color palette design for your approval. - Three logos will be submitted for your review. Step 1 Complimentary call to determine your needs. This call could last up to 30 minutes depending on package. Step 2 - Book & Welcome! Once you have scheduled a website design, signed a contract, and paid the deposit of half the total fee by credit card, it’s time to start! Next, a welcome packet with detailed process and timelines will be e-mailed to you. After you fill out the packet and send it back to me via e-mail or google docs. Then I get to work. I will send a website link for your review. *Please note: I do not write website copy. You will need to provide me the content. Professional photos are preferred but not required. Step 3 - Edits are made. After making your edits. We will have a Google hangouts call or Skype session to train you on how to maintain your new website. You now have a professional looking website and brand that will attract clients and impress others! + Is this right for me? Yes, if you are ready to make an investment in your business. Yes, if you are a start-up small business owner. The process takes between two and three weeks depending on package. Once you have scheduled a website design, signed a contract, and paid the deposit of half of the total fee by credit card, it's time to start. + What do I need to provide? Content and professional photos are preferred but not required. A commitment to staying on schedule. Because of the digital nature of this product, it cannot be returned and is non-refundable upon completion. 50% of the deposit will be refunded 14 days prior to the design and launch start date. Within 14 days of the design and launch date, the deposit will not be refunded. After the design and launch phase has started, the full cost of the design will be due and is not refundable. + What does is cost? Investment $3,500 for a full website package. Investment $4,500 + for deluxe website and branding package. + Are there other costs to expect? 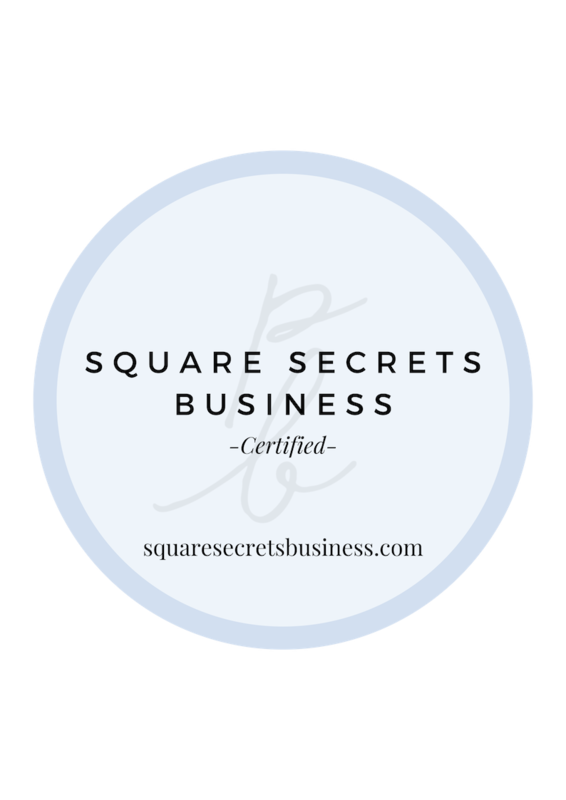 If you purchase a business acount with Squarespace, you will recieve a discount through my Squarespace Circle membership. Hello, I’m Francesca. Want to know a little more about me? I have various interests outside of web design and branding. Most are creative outlets! I love to shop for vintage treasures that take me back in time. I even have my finds featured in my friend’s vintage boutique at an antique gallery! I love to learn new things about design and branding, which seem to change by the minute. I earned a BS in Marketing from Colorado State University and have a MS in Education from Fordham University. I am married and we have a teenaged son who is preparing for the college application process next Fall. Soon we will be empty nesters! I am dedicated to my clients and want to make them proud to show off their new websites and brands! Launching a new business and website is very exciting! I enjoy watching new businesses launch and flourish. Thank you for stopping by my studio! Fran did a heck of a job! I was so overwhelmed after I started my DYI website. I handed everything over to Francesca and it looks great! I’m really happy with the way my website and branding came out! Francesca made it easy for me. I was so pleased with Fran’s work that I continue to refer her to my clients. Fran did a fantastic job!